TOMS RIVER — A Tuckerton Borough Police Officer has been indicted for siccing his German Shepherd K-9 named “Gunner” on an elderly 58-yr-old woman. The incident began when Officer Justin M. Cherry apprehended Wendy Tucker, 58. Officer Cherry released his attack dog, Gunner, onto Wendy’s body and allowed it to continue attacking her while she was already under the control of officers, according to the indictment. Officer Cherry is also being charged with falsifying his police report, using his position of a police officer to commit aggravated assault on Wendy, and tampering with public records. Officer Cherry and another officer originally confronted Wendy in January, 2014 and discovered that she had been driving her vehicle with a suspended license. The police instructed Wendy to take a bus home instead of driving, to which she agreed. But shortly after telling the police that she agreed to take the bus home, they found her driving her vehicle anyway. 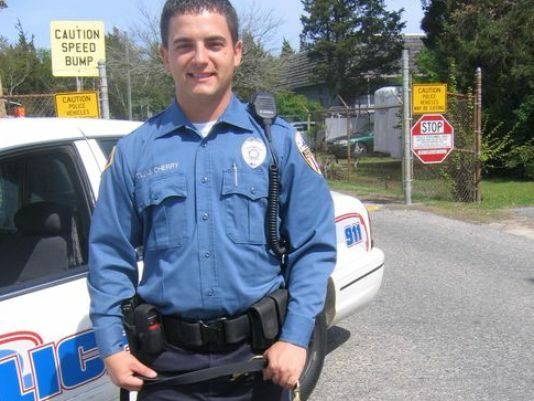 At that point Officer Cherry followed Wendy and stopped her with other officers from the Barnegat Police Department. The officers had placed Wendy under arrest, but officer Cherry went ahead and released his K-9 attack dog onto Wendy unnecessarily, according to reports. 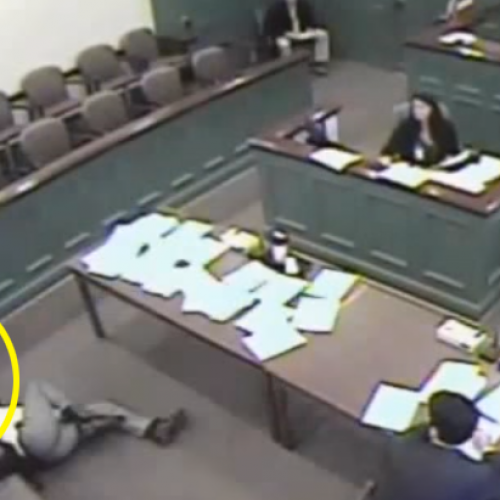 Officer Cherry then lied on his police reports to cover-up the attack, according to the prosecution. Officer Cherry previously shot and killed a man for having a knife during a domestic dispute. He has been suspended without pay, and set free on $15,000 after charges of official misconduct and aggravated assault. Tucker was originally charged with driving with a suspended license and eluding. The eluding charge has been dismissed.